Samsung‘s C-Lab will use SXSW to introduce new A.I. projects next week. All of them are aimed at providing users with new and innovative as well as somewhat unique experiences that are using artificial intelligence technology to amp things up a bit and make them more interesting and engaging. The first of these projects for example is called Toonsquare, and uses A.I. to basically take what a user types and transform it into a cartoon that the user and others can see visually. With Toonsquare users will be able to basically create their own cartoons and can use character graphics that are already going to be integrated with the app or they can even use their own photos to create a new character of their own so the cartoon feels a little bit more personalized. Toonsquare will also analyze different aspects of the text so it can gather enough information for giving the characters in the cartoon expressions and emotions that are supposed to match based on the context. You can see an example of this in the image above which shows what the matched expressions and actions are based on what the words used. The other two projects are called Aurora and Gadget. 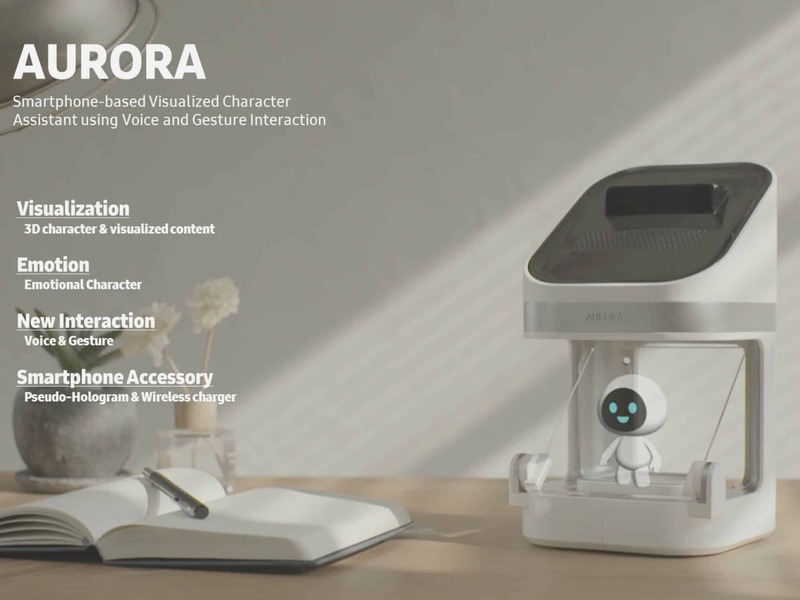 Aurora is piece of hardware that takes the digital assistant technology in the companion app which connects up to it though a smartphone and visualizes the assistant on the integrated hardware display. The phone can dock into the Aurora hardware and then through voice the user can speak to the app and have the interaction displayed on screen. It even uses the smartphone camera to recognize facial expressions so that the expressions of the visualized assistant are appropriate responses. 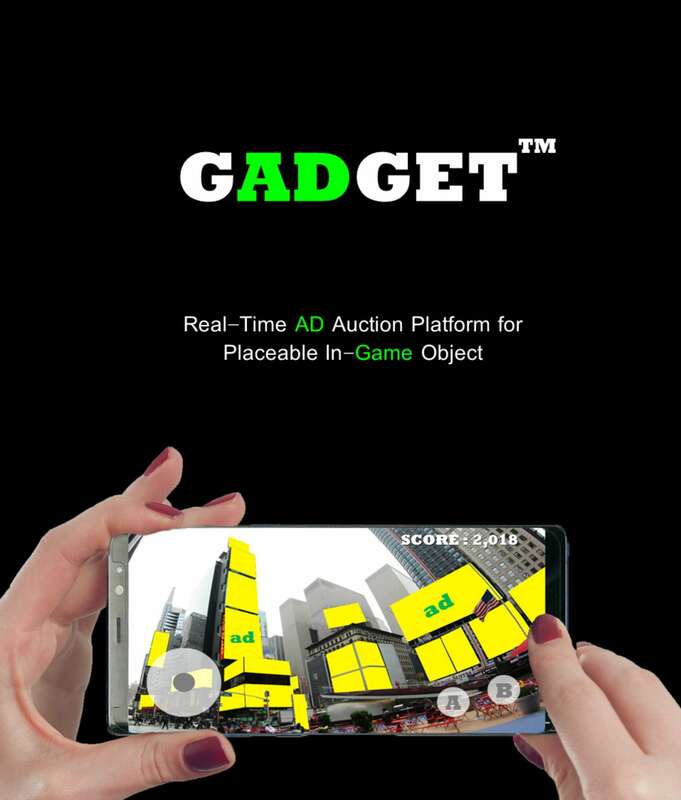 The last project, Gadget, is aiming to revamp the world of in-game ads. While no one really likes ads in games as they can be invasive and interrupt the experience, C-Lab wants to change that with Gadget, which is basically a plug-in that developers can integrate into their games and then blend the ads into the background of the game in less conspicuous but still noticeable locations, such as billboards. Gadget is as C-Lab describes it, a real-time ad auction platform, that lets developers or advertisers buy ad placement, allowing them to then seamlessly put them in a game without having something pop up and take away from the gamer’s experience. You are reading an article on the Samsung’s C-Lab Will Use SXSW To Intro New A.I. Projects. All materials on the site Gadgets F, а также и статья Samsung’s C-Lab Will Use SXSW To Intro New A.I. Projects - written for the purpose of information enrichment and we are happy if you like our magazine. Presale Vernee Thor E: chance to get Vernee smartphone with a large battery 5020mAh for only $9.99!